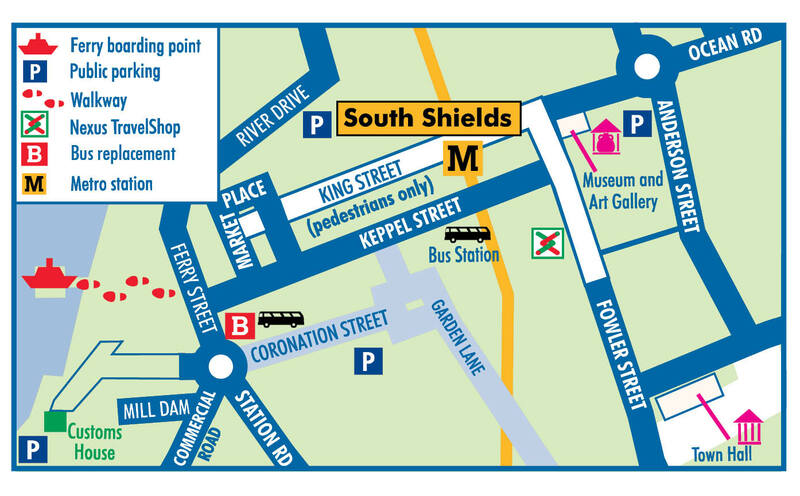 The ferry landing is about a 5 minute walk from South Shields Metro station - see map below. Most local buses serve the Market Place and Keppel Street bus station. There is a short bridge which leads to the pontoon and an enclosed waiting area with seating. 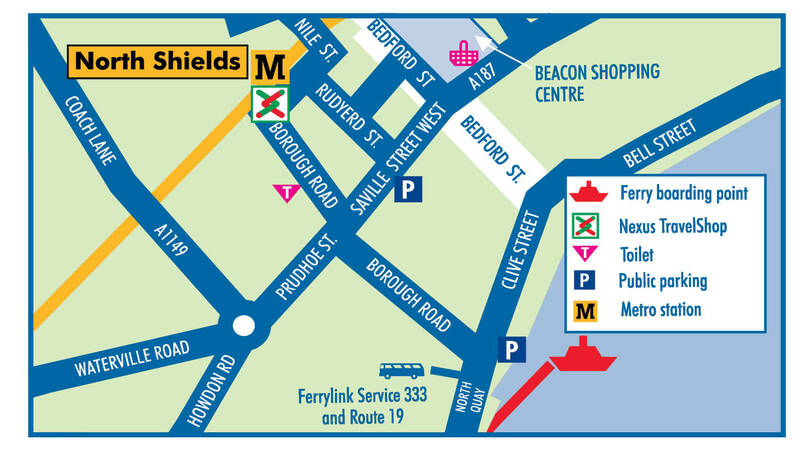 The ferry landing is about a 10 minute walk from North Shields Metro station - see map below. The route is quite steep but service 333 is a free* shuttle bus which operates between North Shields ferry landing and North Shields Metro station. This also goes to North Shields Fish Quay. Bus service 19 connects North Shields ferry landing with Royal Quays, Silverlink Business and Retail Park, Cobalt Business Park and the Metro system. The landing at North Shields features a fully enclosed glazed waiting area with seating. The bridge leading to the landing is relatively long which means that the gradient makes access easier for wheelchair users.